The meniscus is a C-shaped cartilage disc that cushions your knee. Each knee has 2 meniscuses, one on the inner side and one the outer side. 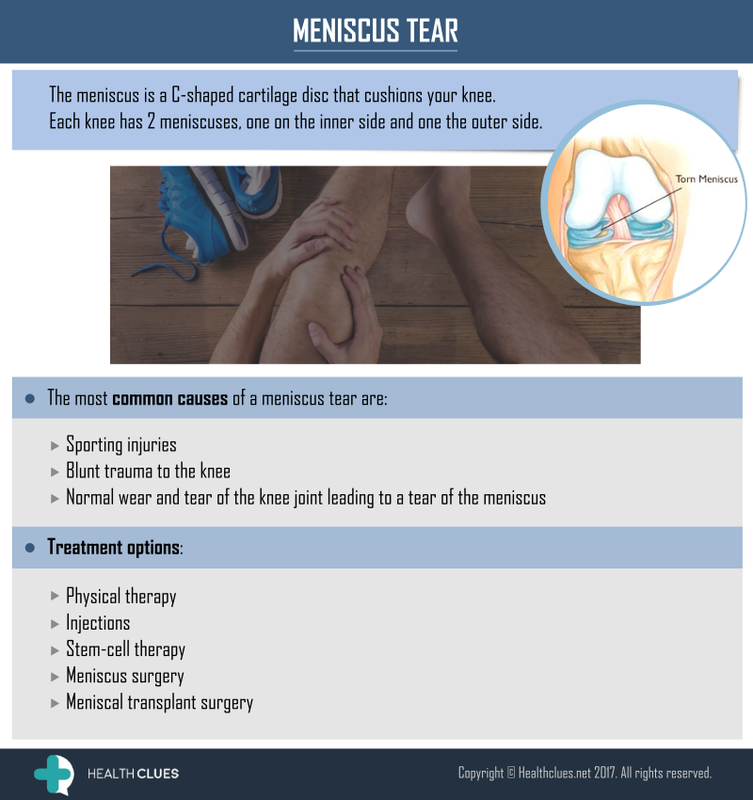 Infographics, Meniscus Tear meniscus, Meniscus surgery, meniscus tear, Sporting injuries. permalink. Thank you for sharing your great information!